As we all know, the moon loves when it gets a chance to be the star — or uh, moon? — of the show. On Sunday (December 3), it’ll once again become the center of attention, as it’ll be a very bright supermoon. The moon will be 16,500 miles closer to the Earth than typical on Sunday night. As the only supermoon of 2017, this is under a lot of pressure to deliver some Instagram gold. Supermoons occur when a full (or new) moon coincides with its closest approach to Earth within its elliptical orbit, called the perigee. It will look 7 percent bigger in the sky and be 16 percent brighter. This makes the moon appear extra big and extra bright, much to stargazers’ delight. While supermoons don’t happen every December, the “Full Cold Moon” does. This is simply the name given to the full moon in December. It comes from the Old Farmer’s Almanac, which contains creative monikers for every full moon of the year. It’s hardly a mystery why this moon got its name — in December, it gets really, really unreasonably cold in the Northern Hemisphere. If you’re hoping to catch a peek at this big ol’ moon, be sure to check what time the sun is setting in your city. 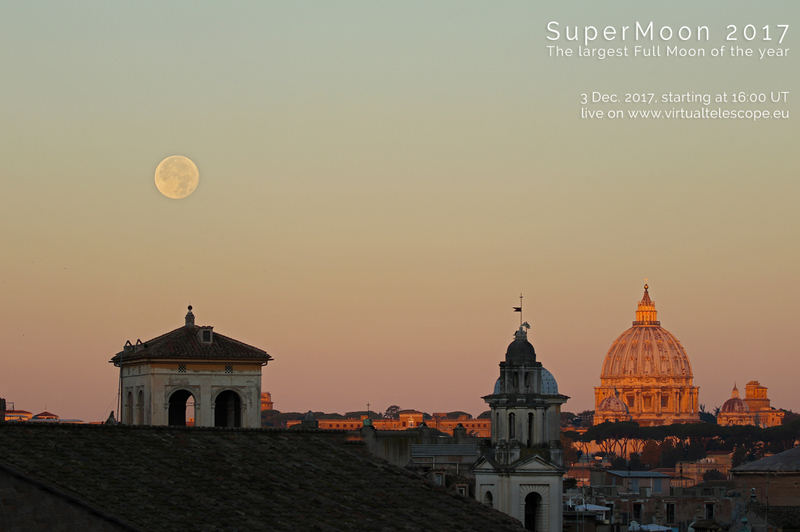 And if you want to get an early look at the moon rise, tune into the livestream set up by the Virtual Telescope Project at 11 a.m. Eastern (4 p.m. Rome time) to watch the 2017 Supermoon rise above the Rome skyline. According to Space dot com, the moon will become full at 10:47 a.m. Eastern (1547 GMT) on Sunday, but it will hit its perigee on Monday at 3:45 a.m. Eastern. And if you want to take a photo of the 2017 Supermoon, don’t make a common mistake. As always, happy stargazing! For optimal viewing, listen to Van Morrison’s “Moon Dance” or R.E.M’s “Nightswimming” while gazing up at the sky’s splendor. This is what it looks like to land on an alien moon.